Located at 1180 Sledge Drive, our collision facility has remained a steadfast part of our business in an ever-changing automotive world since we opened our doors in 1971 as a part of the original Joe Bullard Oldsmobile location. We have over 40 years of experience working with local and national insurance companies, adjusters, and suppliers. 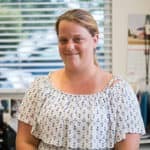 You can rest assured that you’re in the best of care as our team of dedicated specialist has first-hand experience working for many years with companies such as State Farm and Progressive. 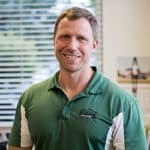 We’re conveniently located next to multiple Joe Bullard locations for quick access to master technicians and a full staff to meet any mechanical needs. 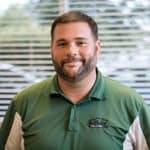 We take pride in our facilities and services, making sure to offer a variety of the tried and true as well as leading-edge technologies to help our clients feel as though nothing ever happened to their car. Good as new! Environmentally conscious; we do whatever we can to lessen the impact our operations have on the environment. When possible, we recycle used oil and mechanical fluids as well as use only waterborne paint and solvent parts. Additionally, we are a Designated Repair Provider for many insurance companies which means our work is a 100% backed and guaranteed to meet the expectations set in your policy. 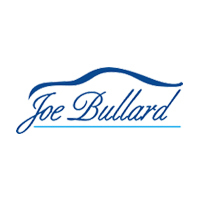 As a part of the Joe Bullard family, we strive to provide the highest quality product, service, and experience, which is why we stand behind our work with a quality guarantee. For more information on how to obtain assistance under this, please contact our offices directly. Feel free to call with any questions or concerns. Alternatively, feel free to submit your information below, and one of our friendly staff members will contact you at your convenience.